A chess game best described as chic! 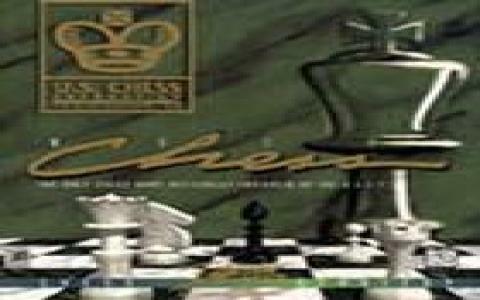 USCF Chess is a game that was marketed as having the ability to grade players with the national U.S.C.F. rating. Well, how accurate that may have been is of no importance really; what the game offers is a very sleek, very French looking interface. Spartan nonetheless, with no multiple options of making the boards more personal, still, USCF Chess managed to offer a very sleek, very beautiful and classy looking board and chess pieces setup. Also, something I can agree with, the AI can put up a mean fight, can impersonate, I would argue, multiple chess personalities and thus, really keep you entertained. Also, the game has a hefty opening moves library of no less than 30 thousand moves, plus other match strategies, all delivered simply yet very beautifully. And so, USCF Chess is a game that will impress those that love minimalist in the back of which a lot of power and material hides. That is what USCF Chess does best, create a very beautiful presentation and have a meaty game behind it all. In some ways it even surpasses Chessmaster 10th edition, one of the most diverse and long lived chess simulators out there, which is really a great compliment for USCF Chess.